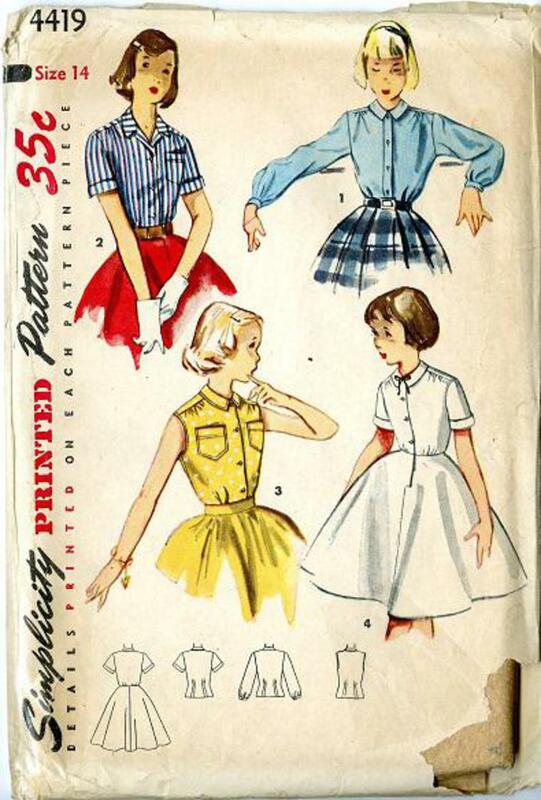 1953 Simplicity #4419 vintage sewing pattern, girl's blouse and blouse slip, size 14. Blouse, gathered at forward shoulder seams, has a front button closing and small collar. Choose short sleeves, long sleeves or sleeveless. Slip may be used as dress or skirt. NO INSTRUCTIONS available, sold AS-IS.